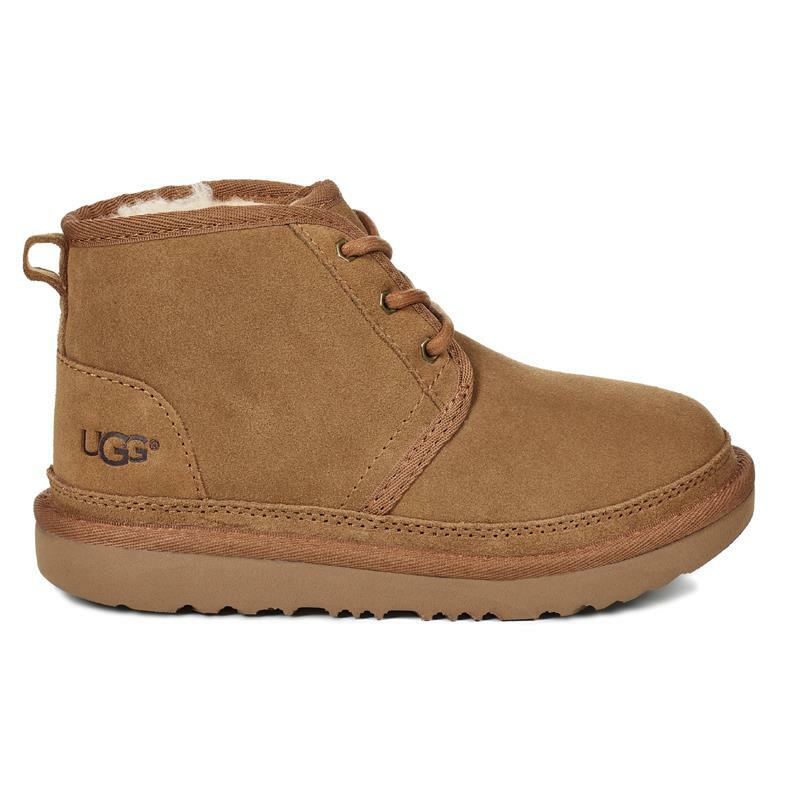 Dress your little guy just like dad in this takedown of the classic UGG® Men’s chukka. Now stain resistant, water resistant, and equipped with our traction-enhancing Treadlite by UGG™ sole, the Neumel is an understated – and durable – style for all ages. | By UGG® | RN #88276 | Imported | This product contains real fur from sheep or lamb. Fur may be sourced from Australia, Ireland, the United Kingdom, or the United States. It has been artificially dyed and treated. Made in Vietnam.